Blooming peonies in soft shades of pink and white lend just the right touch of antique charm to these vintage-inspired seal and send wedding invitations. Your wording is printed in your choice of colors and fonts on a kraft-colored background. Seal and Sends include a perforated card at the bottom printed with your response wording on one side and your address on the other. Your return address is printed on the outer flap. 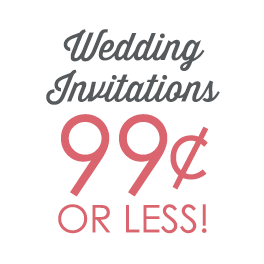 Price includes clear round seals for securing the invitations. Other seals may be purchased separately. I really love these invitations and they turned out exactly how I expected!!! I'm very happy with my purchase. Guests have commented on how beautiful they are. They are perfect for an outdoor, summer wedding and reception.I picked these because I could customize the invitations so that the attached reply card would include our website information for guests to RSVP instead of mailing the actual card back (we are between addresses right now and the wedding date is close! ).The only negative I can think of is that three separate guests informed us that their invitations were delivered opened. I really like the clear, perforated stickers that come with the invitations; however, just beware that they are super easy to open and your invitations may be pre-read before they get to your actual guests!I'm glad I ordered extra invitations -- I'm going to punch out circles in them and make strands of garland for the reception. These invitations are gorgeous. I ordered them with the little bit heavier paper and they are just what I was looking for. Perfect for your vintage country wedding. Very pleased with all aspects of service and delivery. I purchased both my save the dates and invitations from here and I saved so much money as opposed to spending 300-400 elsewhere on just invitations. Not only were they at a price I loved but beautiful designs you can't find anywhere else. I received many comments on how beautiful these invitations were. I ended up using an envelope to send them in, but they were definitely sturdy enough to send without one. Only negative was I thought the floral print was raised. It is a print (still beautiful and vibrant).